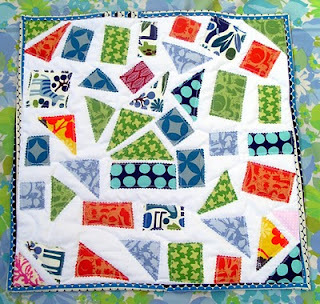 looks just like Angela's quilt at http://mythreesonsknit.blogspot.com/2010/02/ticker-tape-parade.html. cute stuff. I LOVE that Darcey Collection binding print! must try this with my kids...cute!! Your kids must be proud of these! I should get Ollie to make one too - he'd love it! Very cute!, I was going to point you over to My Three sons too. I think this is something my girls would love to do, for that matter I would too! What a great idea Andi- and a good way to get the little ones involved. they are so lovely Andi - and what a great idea! nice!! 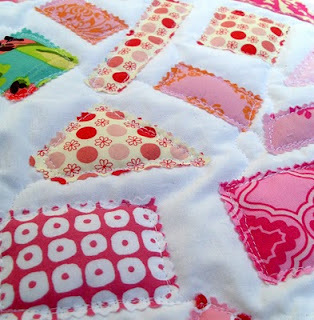 i was gonna post the same link as jenny.. very similar to Angela's quilt.. that may be where you got the idea! this looks like Angela's at My Three SOns. these look great and are a great memory maker. That is such a cool idea (adding it to the loooong list)! love it! !Great idea and a creative use for scraps! 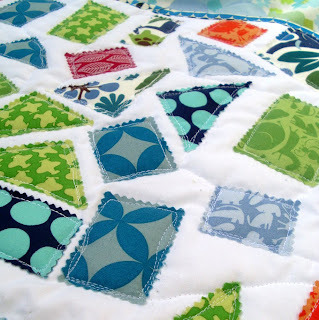 what a great way to quilt with kids! I've been trying to figure out a project that I could do with a 4 year old. She loves stickers! This is just the project! Thank you SO much!!! 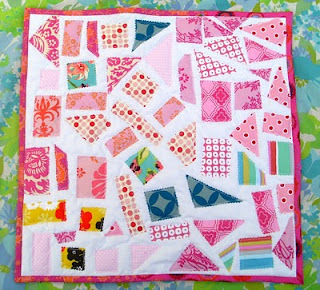 What a great idea - and what fun quilts! I love that there was only one rule! ooh, I love it! I might even let her pick the fabrics, then i'll fuse, then she arranges- for the new bedroom, of course! Not sure if I emailed back, got the house, move in 3 weeks- ARGHHHH! Awesome idea! They look fabulous! What a great idea! And they turned out great, too. Andi I have GOT to try this with my kids...great idea! I love the idea of giving your kids fabric stickers! That is totally awesome. Oh..that is good...really good!! Brilliant work! That is an awesome idea, I must remember that for the next school holidays. Simple and nice...the patches not touching each other create an effect in itself.Lovely sharing here. be where you saw it? I think I too am gonna need to make one. Perfect use for those odd size scraps.